April 6, 2015 — Inside a sprawling single-story office building in Bedford, Massachusetts, in a secret room known as the Growth Hall, the future of solar power is cooking at more than 2,500 °F. Behind closed doors and downturned blinds, custom-built ovens with ambitious names like “Fearless” and “Intrepid” are helping to perfect a new technique of making silicon wafers, the workhorse of today’s solar panels. If all goes well, the new method could cut the cost of solar power by more than 20 percent in the next few years. In January 2015, Saudi Arabian company ACWA Power surprised industry analysts when it won a bid to build a 200-megawatt solar power plant in Dubai that will be able to produce electricity for 6 cents per kilowatt-hour. The price was less than the cost of electricity from natural gas or coal power plants, a first for a solar installation. Electricity from new natural gas and coal plants would cost an estimated 6.4 cents and 9.6 cents per kilowatt-hour, respectively, according to the U.S. Energy Information Agency. 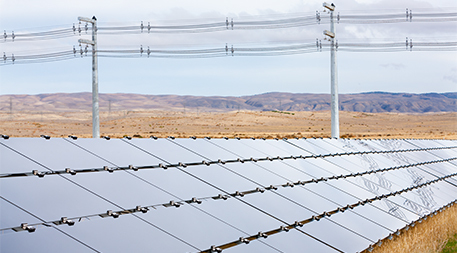 Technological advances, including photovoltaics that can convert higher percentages of sunlight into energy, have made solar panels more efficient. At the same time economies of scale have driven down their costs. For much of the early 2000s, the price of a solar panel or module hovered around US$4 per watt. 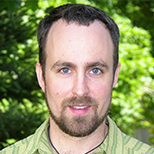 At the time Martin Green, one of the world’s leading photovoltaic researchers, calculated the cost of every component, including the polycrystalline silicon ingots used in making silicon wafers, the protective glass on the outside of the module, and the silver used in the module’s wiring. Green famously declared that so long as we rely on crystalline silicon for solar power, the price would likely never drop below US$1/watt. “There is a tenth of a percent of an efficiency gain here and cost reductions there that have added up to make solar very competitive.” — Mark BarineauThe future, Green and nearly everyone else in the field believed, was with thin films, solar modules that relied on materials other than silicon that required a fraction of the raw materials. Then, from 2007 to 2014, the price of crystalline silicon modules dropped from US$4 per watt to US$0.50 per watt, all but ending the development of thin films. The dramatic reduction in cost came from a wide number of incremental gains, says Mark Barineau, a solar analyst with Lux Research. Factors include a new, low-cost process for making polycrystalline silicon; thinner silicon wafers; thinner wires on the front of the module that block less sunlight and use less silver; less-expensive plastics instead of glass; and greater automation in manufacturing. “There is a tenth of a percent of an efficiency gain here and cost reductions there that have added up to make solar very competitive,” Barineau says. One likely candidate to get it there is 1366’s new method of wafer fabrication. The silicon wafers behind today’s solar panels are cut from large ingots of polycrystalline silicon. The process is extremely inefficient, turning as much as half of the initial ingot into sawdust. 1366 takes a different approach, melting the silicon in specially built ovens and recasting it into thin wafers for less than half the cost per wafer or a 20 percent drop in the overall cost of a crystalline silicon module. 1366 hopes to begin mass production in 2016, according to van Mierlo. Cost-reducing thin film solar photovoltaic technology could be experiencing a renaissance, thanks to recent efficiency innovations by U.S. manufacturer First Solar. Photo courtesy of First Solar, Inc. Meanwhile, thin films, once thought to be the future of solar power, then crushed by low-cost crystalline silicon, could experience a renaissance. The recent record-setting low-cost bid for solar power in Dubai harnesses thin-film cadmium telluride solar modules made by U.S. manufacturer First Solar. The company not only hung on as the vast majority of thin film companies folded, but has consistently produced some of the least expensive modules by increasing the efficiency of their solar cells while scaling up production. The company now says it can manufacture solar modules for less than 40 cents per watt and anticipates further price reductions in coming years. Ten years from now we could easily see the cost of solar modules dropping to 25 cents per watt, or roughly half their current cost, Green says. To reduce costs beyond that, the conversion efficiency of sunlight into electricity will have to increase substantially. To get there, other semiconducting materials will have to be stacked on top of existing solar cells to convert a wider spectrum of sunlight into electricity. “If you can stack something on top of a silicon wafer it will be pretty much unbeatable,” Green says. While solar power is just starting to reach grid parity, wind energy is already there. In 2014, the average worldwide price of onshore wind energy was the same as electricity from natural gas, according to Bloomberg New Energy Finance. 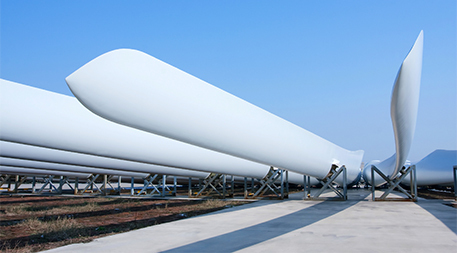 Bigger wind turbine blades mean more energy captured — to a point. Photo © iStockphoto.com/hudiemm. As with solar, the credit goes to technological advances and volume increases. For wind, however, innovation has mainly been a matter of size. From 1981 to 2015 the average length of a wind turbine rotor blade has increased more than sixfold, from 9 meters (30 feet) to 60 meters (200 feet), as the cost of wind energy has dropped by a factor of 10. “Increasing the rotor size means you are capturing more energy, and that is the single most import driver in reducing the cost of wind energy,” says D. Todd Griffith of Sandia National Laboratories in Albuquerque, New Mexico. Griffith recently oversaw the design and testing of several 100-meter (300-foot)-long blade models at Sandia. His group didn’t actually build the blades, but created detailed designs that they subsequently tested in computer models. When the project started in 2009, the biggest blades in commercial operation were 60 meters (200 feet) long. Griffith and his colleagues wanted to see how far they could push the trend of ever-increasing blades before they ran into material limitations. “I fully expect to see 100 meter blades and beyond.” — D. Todd GriffithTheir first design was an all-fiberglass blade that used a similar shape and materials as those found in relatively smaller commercial blades at the time. The result was a prohibitively heavy 126-ton (114-metric-ton) blade that was so thin and long it would be susceptible to vibration in strong winds and gravitational strain. The group made two subsequent designs employing stronger, lighter carbon fiber and a blade shape that was flat-backed instead of sharp-edged. The resulting 100-meter (300-foot blade design was 60 percent lighter than the initial model. Since the project began in 2009 the largest blades used in commercial offshore wind turbines have grown from 60 meters to roughly 80 meters with larger commercial prototypes now under development. “I fully expect to see 100 meter blades and beyond,” Griffith says. As blades grow longer, the towers that elevate them are getting taller to catch more consistent, higher speed wind. And as towers grow taller, transportation costs are growing increasingly expensive. To counter the increased costs GE recently debuted a “space frame” tower, a steel lattice tower wrapped in fabric. The new towers use roughly 30 percent less steel than conventional tube towers of the same height and can be delivered entirely in standard-size shipping containers for on-site assembly. The company recently received a US$3.7 million grant from the U.S. Department of Energy to develop similar space frame blades. Like crystalline silicon solar panels, however, existing wind technology will eventually run up against material limits. Another innovation on the horizon for wind is related instead to location. Wind farms are moving offshore in pursuit of greater wind resources and less land use conflict. The farther offshore they go, the deeper the water, making the current method of fixing turbines to the seafloor prohibitively expensive. If the industry moves instead to floating support structures, today’s top-heavy wind turbine design will likely prove too unwieldy. One potential solution is a vertical axis turbine, one where the main rotor shaft is set vertically, like a merry go round, rather than horizontally like a conventional wind turbine. The generator for such a turbine could be placed at sea level, giving the device a much lower center of gravity. “There is a very good chance that some other type of turbine technology, very well vertical axis, will be the most cost effective in deep water,” Griffith says. The past decade has yielded remarkable innovations in solar and wind technology, bringing improvements in efficiency and cost that in some cases have exceeded the most optimistic expectations. What the coming decade will bring remains unclear, but if history is any guide, the future of renewables looks extremely positive. UPDATED 4.15.15: The section on wind energy innovations was updated to clarify that Sandia designed but did not construct 100-meter turbine blades. do you have any research on water turbines? Have there been any advances in private home turbine tech? Or mostly large scale? Phil a great article, and very thoughtful overview of where the global renewable energy technology sector is at, and perhaps more importantly where it might be heading. Where it gets a "rubbery" though is the PV price per watt. And understandably so, because it might well be beyond any analyst to accurately compute correct figures for this subject and without those we are all only guessing. There is simply too much obscurity and vested interest “sleight of hand” around the true costs equation, and particularly for PV and Wind. How are, direct Government subsidies; manufacturing tax rebates; local government incentives; concessional grants and loans etc., across the entire manufacturing; supply; distribution and installation chain, able to be accurately identified and factored into the price point analysis? Ultimately deliberate price point distortion will prove to be the biggest hurdle to the survival of some of the renewables technologies in the future. Commonly now, and with the benefit of hindsight, large renewable energy plant contracts are being viewed suspiciously by contractors; Governments, and financiers. A transparent and precise supply chain costs analysis identifying all of the contributing factors mentioned above would be very helpful for Government policy makers and business leaders alike, but this is unlikely to ever be an imperative initiated by the fractious global renewable sector itself. It will be initiated though by financiers. In the old West, off- or pre-grid, those small windmills were the only way to pump essential groundwater to stock tanks. Similar niche applications remain for small wind, but generally the technology is not commercial.